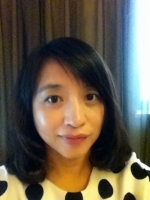 From 1999, Becky Wang started in agency business as Australian company’s China office representative, from 1999 to 2002, has successfully handled over 100 applications to Australian universities and high schools. 98% successful rate. From 2002, Becky worked as Nudgee International College’s China representative, as a local contact for NIC and its 19 partner schools marketing promotion work in China and agents support. Becky joined agent’s exhibition, road show on behalf of NIC since 1999. Over the last 10 years, the experienced that she gained through working with students and parents is well recognized by China key agents, especially in schools selection according to different students’ strength and weakness. Her goal is to use her experience to help students have a smooth transfer to start their overseas study adventure.